Ripple (3417 Connecticut Avenue, NW; (202) 244-7995) releases today its first-ever Bar Room menu focused on a single ingredient. Under the direction of Executive Chef Ryan Ratino, the Cleveland Park restaurant expands its offerings this month with a menu dedicated to original and innovative applications of Prosciutto di Parma, to be available through the end of May. Ratino, a finalist for the 2017 Rising Culinary Star of the Year RAMMY Award, intends to highlight exquisite seasonal ingredients throughout the year - allowing his team to regularly showcase fruits and vegetables, and fine meats and cheeses, in unique and surprising ways. Beginning today, guests can enjoy Prosciutto di Parma reduced into a savory mignonette, served atop cranberry creek oysters; and blended into croquettes and topped with an espuma of brandade and confit garlic. Two more traditional applications of hand-sliced Prosciutto di Parma top Ratino’s take on a burrata salad, made in-house and paired with a citrus marmalade and allium pesto; and chopped, set atop carbonara with coddled egg, parmesan and sliced black truffle. Savory turns sweet on Ratino’s version of bacon jam - a Prosciutto di Parma marmalade served with fresh sliced green plums, crushed pistachio and shaved white chocolate. "I enjoy using Prosciutto di Parma ham because of its clean flavor and prominent nutty notes. For my style of cooking it blends well without overwhelming the subtle flavors I like to weave into my dishes. As we roll into springtime, I find it is a great accompaniment to the bounty of green veggies available like peas and asparagus. For me, it is the complexity of flavor that this meat carries that allows me to utilize it across the whole menu at Ripple," says Chef Ryan Ratino. The special Prosciutto di Parma dishes are available in Ripple’s Bar Room each evening beginning at 5 PM. The regular Bar Room menu, including snacks and small plates like truffled cheese presse and morbier grilled cheese, are available any time alongside Ripple’s award winning charcuterie, cheeses, and wine list. Seating in the Bar Room is available without a reservation. 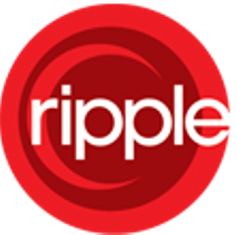 For more information, call (202) 244-7995 or visit Ripple online at www.rippledc.com. Named Best Upscale Casual Restaurant and Wine Program of the Year in 2014 by Restaurant Association Metropolitan Washington, Ripple’s exquisite menu showcases organic and locally-acquired produce and offers an extensive cheese and charcuterie program. With over 3,000 bottles in its wine cellar and 30 wines sold by the glass, Ripple’s wine program highlights small family producers, with a commitment to sustainable, organic, or biodynamic production. Ripple is open for dinner daily at 5 PM and offers happy hour in the Bar Room Monday through Friday from 5 PM to 7 PM. For more information on the menu and Ripple’s award-winning beverage program, visit http://rippledc.com.